I have to keep fresh pico de gallo in my refrigerator at all times. It goes great with eggs, pretty much any kind of grilled meat or fish, and is the perfect low fat salad dressing alternative. Be careful of how much fresh squeezed lime juice you use. If you use too much, the flavor really over powers the dish. Tread lightly with the amount of jalapeno you use as well. I use one half which will bring you to about a spicy medium. 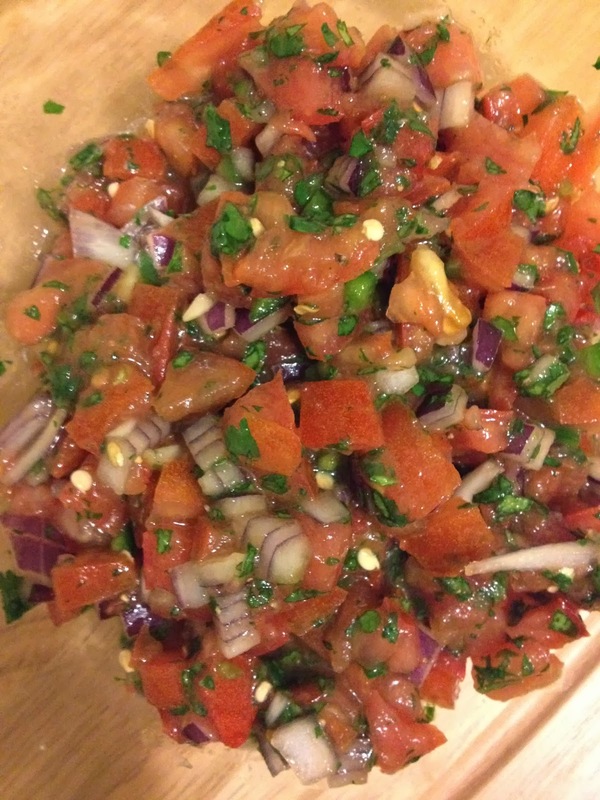 Use less if you want a mild spicy pico de gallo. Combine all ingredients well in a mixing bowl. Transfer to a covered glass container. This dish can be served immediately if necessary, however, if you let it chill for 24 hours in the refrigerator the flavor of the dish is much more robust.